We have three major heading styles on FutureLearn: article headings, block headings and headlines. Block headings are usually used for sections or larger blocks of the content. They do not have a sectioning role within the block and therefore they do not introduce hierarchy within that block. However, they have an important role of naming the sections, and indicating the structure of the page. This helps quick scanning and constructing a mental map of the page. Extra large (bronto) – Used only when the main title needs to be very prominent. Currently the course title on the Welcome page is the only extra large heading on FutureLearn. 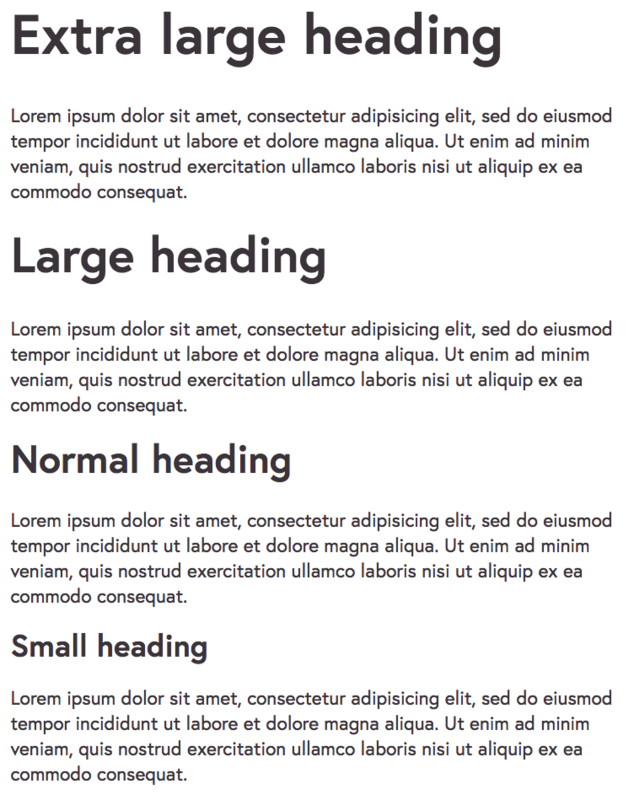 Large (yotta) – Used for page titles, page headers and billboards. Normal (exa) – This is the default heading style. Most common use is for the title of non-primary secions. Small (tera) – Used in smaller modules. The spacing around the heading is related to its font size – larger headings need larger “personal” space. This is 0.5em at the top, and0.7em at the bottom. Set text-align: center on the parent module. This is the preferred way. Headlines mark and label independent content blocks in a subtle way, without driving attention to the headline itself, allowing the content to stand out. They don’t introduce hierarchy, and if there are more blocks with headlines following each other, the order of these is not strict, unlike article headings.